Better Choice > News & Updates > Property Values > One bedroom v two bedroom apartments – which is better for the first home buyers? 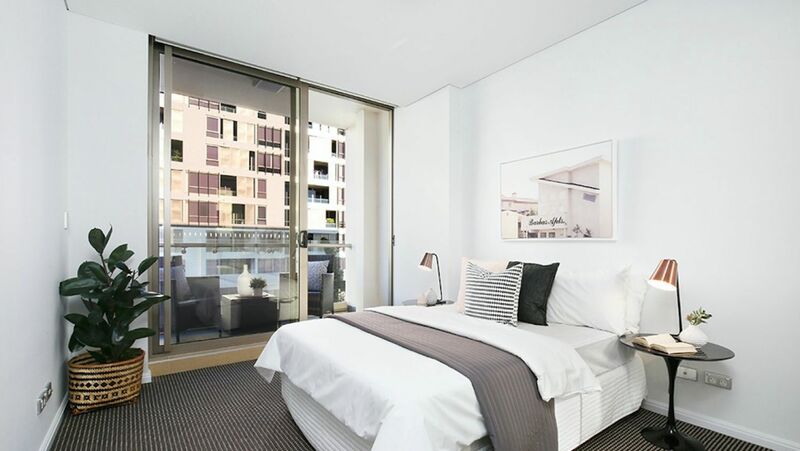 One bedroom v two bedroom apartments – which is better for the first home buyers? It’s a tricky proposition for the first time home buyers – faced with a steep entry point, is it worth stretching the budget even further to get a second bedroom? According to Domain Group data, two-bedroom apartments cost an average of 13 per cent more across Sydney, although this can vary depending on the suburb. In Sydney’s south and south-west, an extra bedroom will cost you 14 per cent more, while in the inner west and northern beaches, you can expect to pay an extra 30 per cent. In the city and east, a second bedroom will increase the price by a whopping 49 per cent. A second bedroom is not just about having space, either, as the extra room can help earn its keep through rent, or by making an apartment easier to sell when the time comes to upgrade. Taj Singh, from First Home Buyers Australia, says there are several advantages to holding out for another bedroom. Two-bedders offered greater resale value in the future, especially as lenders were less willing to lend on smaller apartments – particularly those under 50 square metres. For couples looking to extend their family, a two-bedroom apartment may allow them to live in the apartment longer, especially when they only have one child, reducing the need to upsize more urgently than if you just settled on a one-bedder initially,” Singh says. “Especially with the rise of Airbnb, it’s important from a rental perspective to think about that second bedroom,” he says “That second bedroom will get a much better yield.” It can also serve as a home office. “People are not trading homes as much as they used to – it’s a lot harder to get into the market, and you buy into an area for a reason whether it be transport or schools,” Bainey says, pointing out that the extra flexibility could allow buyers to stay in their desired area longer. And with newer apartments in particular, a two-bedroom unit is more likely to come with a second bathroom. Buyers Agent John Carew, from Mayfield Property, says deciding on a second bedroom is a “pretty common conundrum”, but he agrees that more rooms can give buyers more time. “If you buy something and then you outgrow it in 18 months, you’re going to have the same problem,” he says. Carew encourages his clients to think about a five-year horizon, and what, realistically, their long-term accommodation needs are. Buyer’s agent Michelle May, who works in the inner west and inner east, says in terms of stretching their budget to a two-bedder, first home buyers might be better concentrating on buying a better quality apartment, rather than a bigger one. “Focus on a car park or a balcony, or a higher level of finish, rather than squeezing in a second bedroom,” she says. “You want them to be of equal size – you don’t want tiny bedrooms, they don’t perform as well. Bainey agrees that, ideally, buyers should seek out an apartment with bedrooms of equal size. “It depends on the layout but new apartments are built around minimum apartments standards” – referring to bedroom sizes. Bainey says he has seen more demand for internal space over external spaces like balconies, but it really comes down to the budget.